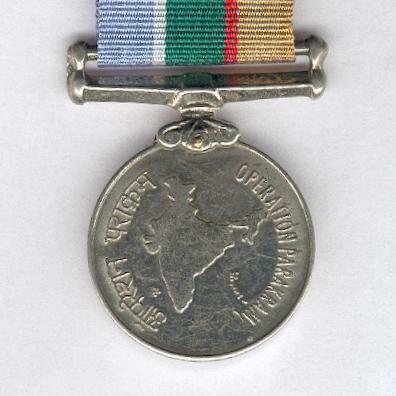 Circular cupro-nickel medal with bar and clasp suspension; the face a relied map of India, circumscribed ‘Operation Parakram’ in Hindi characters to the left and in capital Latin characters to the right; the reverse with the Ashokan Lions above the Indian National motto ‘सत्यमेव जयते’ (Satyameva Jayate = Truth Alone Prevails); unattributed as issued; on original ribbon. 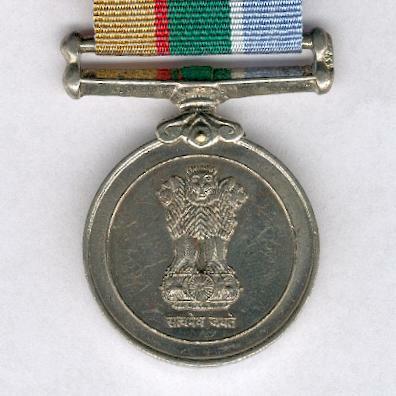 The medal was instituted by the President of India on 20 August 2001 to be awarded to those involved in Operation Parakram, launched following the attack on the Indian Parliament on 13 December 2001 and in which Indian forces were deployed along the Indo-Pakistan border. 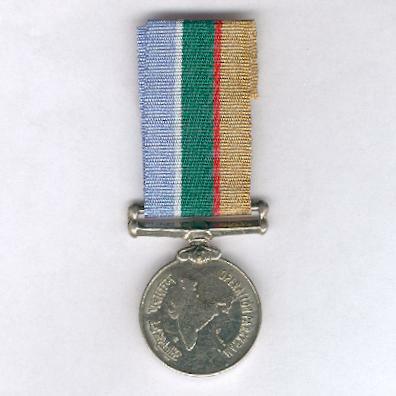 The medal is not often found. 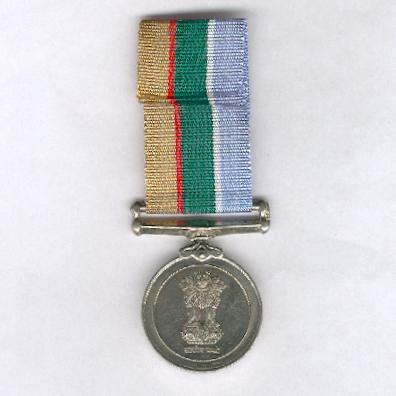 A very good example.